Here we are. The final day of August. And the final new recipe in my 31 Days of 31-Minute Meals series. 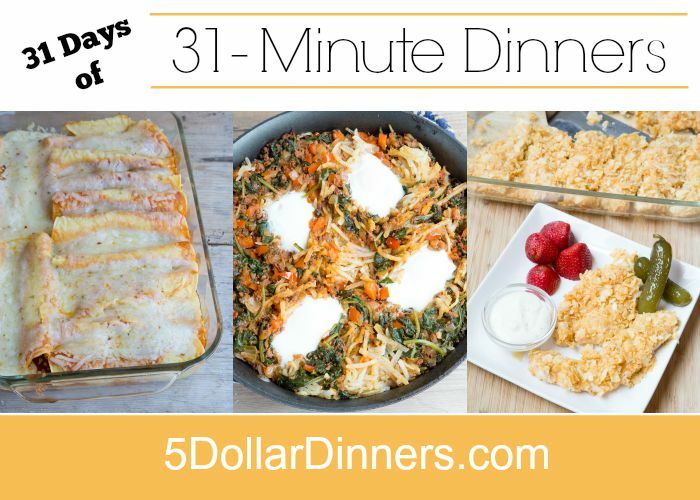 This past month, we have shared some amazing quick and easy dinners that you can have on the table in 31 minutes or less. We resurrected our favorite older recipes that can be made in less than 31 minutes. We also shared a bunch of brand new recipes this month. And we’re ending with this one. 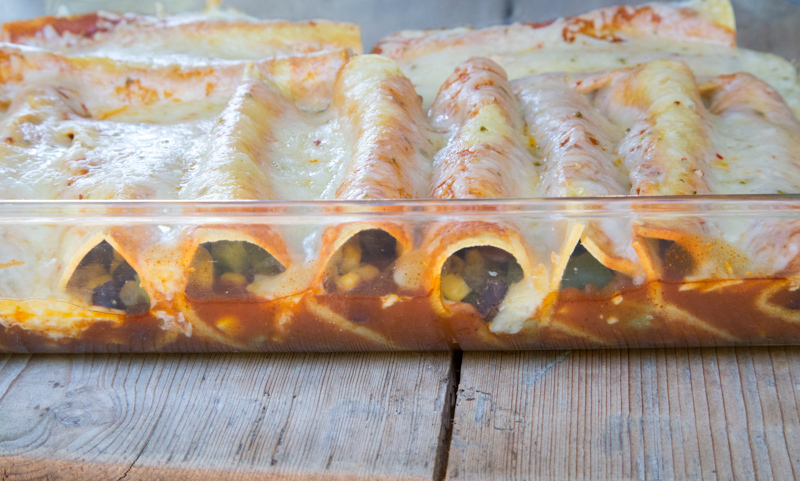 This recipe is a ‘knock-off’ from my uber popular Slow Cooker Black Bean & Corn Enchiladas. But these are made in the oven instead. 10 minutes – preheat oven, get ingredients together and mixed up. 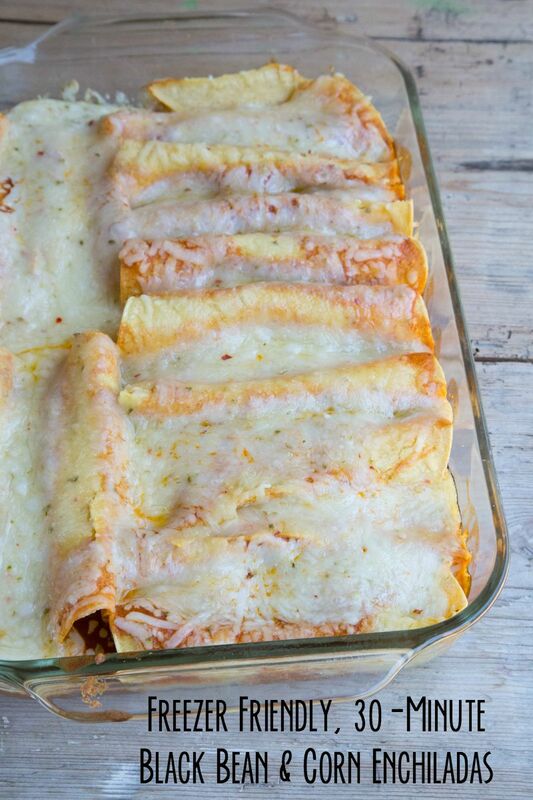 10 minutes – roll enchiladas and get them in the pan. 10 minutes – bake and melt the cheese. Note: These are freezer friendly, and I highly recommend making a second pan while the first one is baking. Just cover it with some foil and freeze! In a bowl, combine the black beans, corn, green chilies, red bell pepper, ground cumin and lime juice. Season with a little salt and pepper. Roll the black-bean and corn mixture into the 12 corn tortillas and place seam side down in the prepared baking dish.